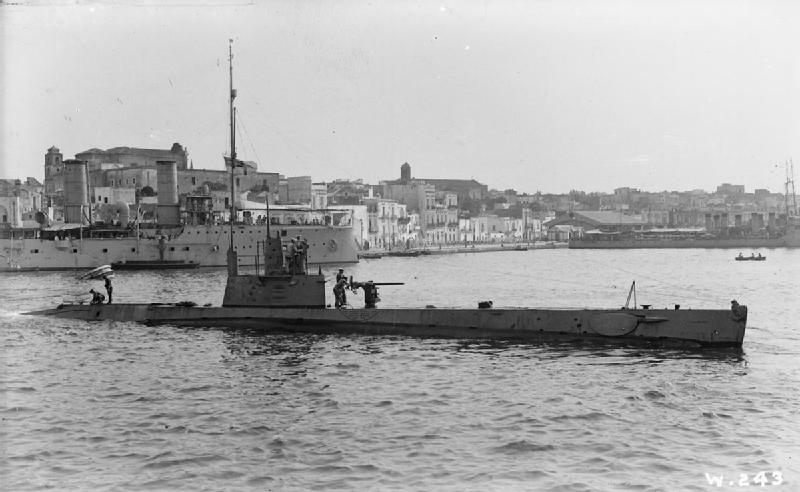 The submarine H3 (Lieutenant George Eric Jenkinson) strikes a mine off the port of Cattaro in the Adriatic Sea and is lost with the loss of her crew of 22. Sub Lieutenant William Inglis Tatham is killed at age 19. He is the son of Lieutenant Colonel ‘the Honorable’ Frederick Spence Tatham DSO and his brother will be killed serving in the South African Infantry in three days. Sub Lieutenant Tatham is the youngest second-in-command serving in the Navy t the time. Private Arthur Darts (Bedfordshire Regiment) whose brother was killed in April 1915. Lieutenant Colonedl Alfred St Hill Gibbons (commanding 13th Liverpool Regiment) dies of wounds at age 53 after taking the village of Bazentin le Grand. He is best known as an explorer of the Upper Zambesi and published two books on Africa, Exploration and Hunting in Central Africa and Africa from South to North through Barotseland. He is also a veteran of the South African War. Lieutenant Colonel Alfred Edward Fitzgerald (East Surrey Regiment commanding 15th Durham Light Infantry) dies of wounds received 1st July at age 43 in London. He is a well known cricketer and member of the MCC, golfer and polo player. Major Geoffrey Brooke Parnell (West Surrey Regiment) is killed in action at age 33. He is the son of Colonel ‘the Honorable’ Arthur Parnell and the grandson of the 3rd Baron Congleton. Major Bede Liddell Fenton (Dorsetshire Regiment) is killed at age 32. He is the only son of the Reverend Enos Fenton Vicar of St Saviours Durham. Captain Walter Joel Ralphs (Royal Field Artillery) dies of wounds at age 32 while acting as a forward observing officer for his battery. He is the son of the headmaster of St Mark’s School and served as a Lieutenant in the Shanghai Light Horse commanding a squadron during the 1912 Chinese Revolution. Lieutenant Theodore Kenneth Barlow (South Staffordshire Regiment) dies of wounds received on the 9th at age 20. He is the son of the late Reverend H T E Barlow of Lawford Rectory. Lieutenant Donald Frederic Goold Johnson (Manchester Regiment) is killed in action at age 26. He is a Great War poet. His brother will be killed in April 1917. Lieutenant Charles Frederick Wells Wait (King’s Own Yorkshire Light Infantry) dies of wounds at age 21 and his brother was killed at Jutland. They are sons of the Reverend Frederick William Wait Rector of Hasketon. Lieutenant Eric Colpoys Hodges (Irish Regiment) is killed at age 18. He is the son of the Reverend Richard James Hodges Rector of Youhal. Lieutenant Theodore Charles Arthur Burt (Royal Field Artillery) is killed at age 23 while directing artillery fire. His brother will be killed in April 1918 and they are sons of ‘Sir’ Septimus and Lady Burt who gave a give of the Burt Memorial Hall at St George’s Cathedral Perth Australia in their memory. Second Lieutenant Walter Herbert Packard (Suffolk Regiment) is killed at age 27. He is the son of the Reverend Osborne Burgess Packard. Second Lieutenant John Alexander (Leicestershire Regiment) is killed in action at age 24. His younger brother was killed in action two weeks earlier on the first day of the Battle of the Somme. Second Lieutenant Walter Llewellyn Davies (Shropshire Light Infantry) is killed at age 34. He is the son of the Reverend John Bayley Davies and his brother was killed in August 1915. Second Lieutenant John Walter Lewis (Devonshire Regiment) dies of wounds at age 20. He is the son of the Reverend Walter Allen Lewis Rector of Goodleigh. Second Lieutenant Hugh Marr Woodside (Highland Light Infantry) is killed in action at age 24. He is the son of the late Reverend David Woodside DD and has two brothers who are killed in the Great War, the first in February of this year the second in April 1918. Private James Clement (Highland Light Infantry) is killed at age 22. His brother was killed on Gallipoli in May of last year. Sergeant George David Challis (Australian Infantry) an Australian rules footballer who played for Carlton in the Victorian Football League from 1912 until last year is killed when a heavy Germany artillery shell drops into his trench at Armentieres at age 25. Challis is a Tasmanian and started his career at Launceston, where he was a premiership player in 1909 and regular NTFA representative at the State Championships. He also represented Tasmania at the 1911 Adelaide Carnival, participating in their famous win over Western Australia. During this time he played mainly as a half forward or rover but when he was lured to Carlton in 1912 he soon established himself as a wingman. It was in that position that he starred in Carlton’s 1915 premiership team. He almost missed out on the chance to win a premiership as he had attempted to join the army at the beginning of the season, only to be refused because his toes overlapped. A teacher by profession, he is eventually able to enlist. Lance Sergeant Samuel Essex (Leicestershire Regiment) is killed. His brother will be killed in October. Lance Corporal John Barbour (Highland Light Infantry) is killed at age 26. He is an inside left forward for Queen’s Park, Glasgow and Preston North End. Lance Corporal Frank Thomas B Writer MM (Royal Fusiliers) is killed at age 24. His brother was killed on the first day of the Battle of the Somme, two weeks ago. Lance Corporal James Munn (Black Watch) is killed at age 26. He is the middle of five brothers who will lose their lives in the Great War. Private Wilfred James Short (Canadian Pioneers) dies of wounds at age 20. His brother will be killed in April 1917. Rifleman Nathaniel Blaker (King’s Royal Rifle Corps) dies of wounds at age 20. His brother will be killed in less than one week. Private Geoffrey Lawrence Scott (South African Infantry) is killed in action at age 24. He is the son of the Reverend Inglis Charles Reymond Scott, Vicar of Chute. Private Horace Henry Twigg (Somerset Light Infantry) dies of wounds at home. His two brothers will be killed in the Great War, the first in eight days the second in April 1918. Private Robert Benjamin Woolger (Middlesex Regiment) is killed at age 20. His brother will be killed in less than two weeks. Private Charles Seabridge (North Staffordshire Regiment) is killed at age 23. His brother was killed eight days ago. Driver John Bullough Douthwaite (Army Service Corps) dies of malaria in Nairobi at age 37. He is the record holder at the Lancaster Golf Club and secretary of the Bishops Stoktford Golf Club. Private Frank Edward Wakefield (Machine Gun Corps) is killed at age 27. His brother will be killed in two weeks. Sapper Alan Role (Royal Engineers) dies of wounds at age 29. His brother will die at sea on the voyage home to Australia in November 1918.